AFL VICTORIA has today released the fixtures for the unnamed Under 18 boys and girls talent competitions, with a raft of changes set to bring a new level of excitement to season 2019. The opening round begins on Saturday, March 23 with Murray Bushrangers taking on Gippsland Power at the Swinburne Centre (Punt Road). The addition of Tasmania to the full-time male competition roster means there will now be 13 teams competing in Victoria’s premier Under 18 pathway, with the new side set to host each regular TAC Cup team in its home state. Tasmania opens its season in Round 2, with the odd number of teams granting them their first of two byes in the opening set of fixtures. There will also be five other interstate teams competing across five games each from Rounds 2 to 6, bringing the competition to a national stage. The Brisbane Lions Academy, Gold Coast Suns Academy, GWS Giants Academy, Northern Territory and Sydney Swans Academy will all play two of their academy rivals, while also being matched against three of the competition’s regular teams in venues both in Victoria and interstate for the first time since 2016. Study/development weeks have also been implemented, allowing players to devote five weekends during the year personal development, while Rounds 11 and 12 will again be deemed ‘Futures Rounds’, where sides will be given the opportunity to field a certain number of bottom-age or 16-year old players. Wildcard Round also remains after the conclusion of 17 home and away rounds in late August, with the finals structure now set to follow the traditional path seen in the AFL. An all-country clash comes to the metro area to open the season, with Murray hosting Gippsland at the Swinburne Centre in Richmond, while the newly developed RSEA Park in Moorabbin will host a Round 1 double-header on the following day. 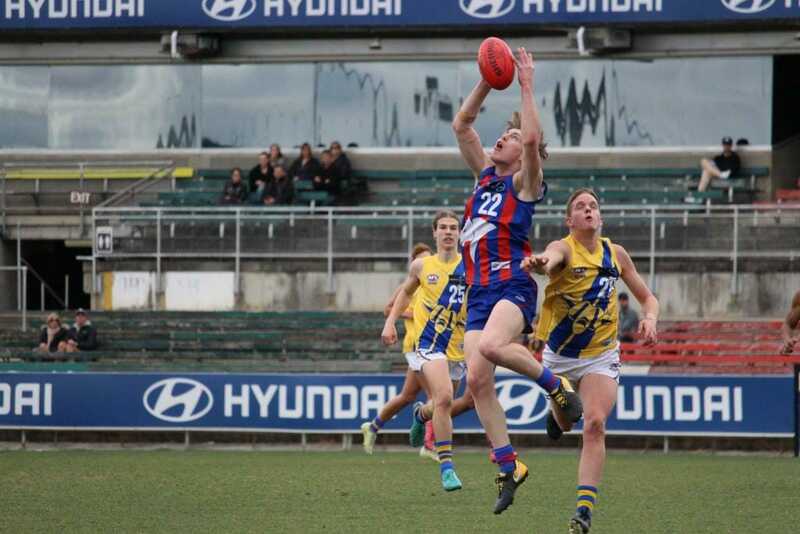 Last year’s runners-up, Oakleigh will have to wait until Round 5 to get another shot at reigning premiers, Dandenong, with the two set to do battle at Shepley Oval in one of six Saturday games. The home and away season will be rounded out by triple-headers in Werribee on Saturday August 17 and in Bendigo on Sunday August 18, with Wildcard Round and finals following straight after and culminating in the Grand Final on the weekend of September 21. THE 2019 Victorian Under 18 Girls talent competition fixture was released today, one month ahead of the first round of action. The official naming rights partner and competition name itself will be confirmed at the end of February with the TAC no longer an official partner. The first round will kick off on Saturday March 2 with a Triple Header at RAMS Arena, Craigieburn before a Triple Header on the Sunday in Frankston. Each year since the league was established the competition itself has evolved with the premiers in 2017 decided by ladder positioning and the 2018 winners decided with the top two teams facing off in the grand finals with Geelong Falcons being the eventual winners. This year the changes to the competition will see a new finals system in place with the top four teams set to play off in two semi-finals on Saturday May 18 with the winner progressing onto the grand final the following week. In a nine round season the 12 original Victorian teams are set to face off, with Tasmania also involved in the female competition, playing two invitational games in Round 7 against the Western Jets on Friday April 26 and the Eastern Ranges on Sunday April 28. They also play a third invitational game against the fifth placed side in the competition on semi-final day. A host of different grounds will be played at during the 2019 season with the Northern Knights set to test out the newly redeveloped RMIT oval playing three home games at the ground. While the likes of the Sandringham Dragons will play at RSEA Park in Moorabbin in Round 2 and Round 9 after the ground got a facelift. The Bushrangers will play their first home game at JC Lowe Oval in Yarrawonga in Round 2. Meanwhile, the Eastern Ranges will play one home game at Healesville Sporting Complex and Greater Western Victoria Rebels are set to venture across town to City Oval in Ballarat against the Geelong Falcons in Round 4. For the full fixtures, head to taccup.com.au and visit this link.